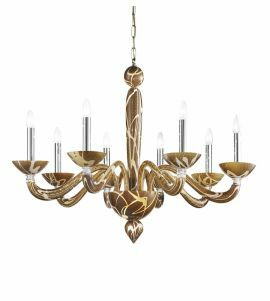 We are happy to offer you our Murano glass chandeliers from the new collection in the color of Bark. 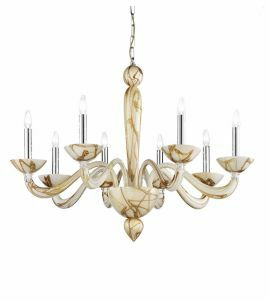 Using a simple, minimalist design, these chandeliers are distinguished by warm colors such as white and honey, white with silver leaf or brown redwood accompanied by silver leaf. 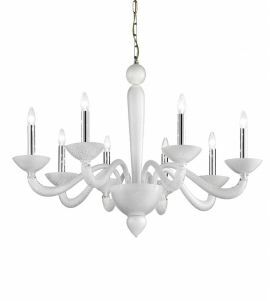 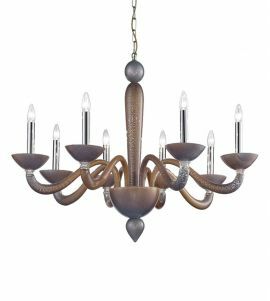 The natural color of tree bark along with the beautiful texture used for these glass chandeliers make them a perfect fit for any room that has solid wood furniture whether this is a bedroom, dining room, rusitc restaurant, library or bookshop.